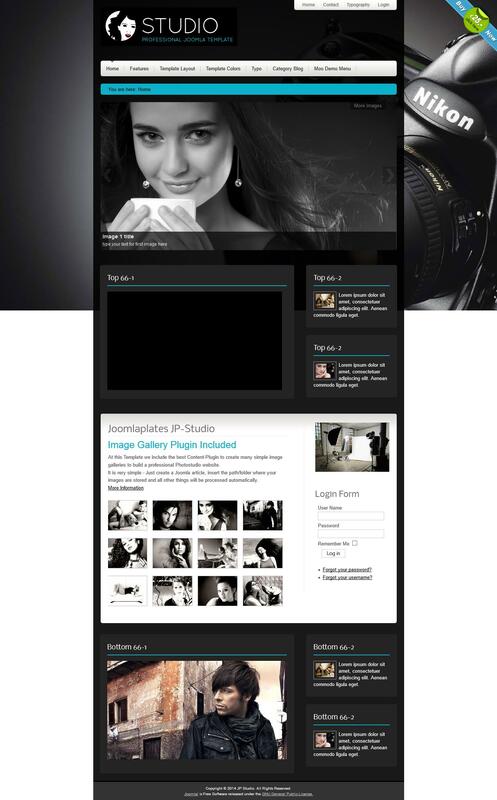 JP Studio brand new and stylish template for Joomla from the studio designers Joomlaplates. It has a dark tone and may be fine for sites such as a portfolio or photo studios. Developers added here functional plugin, it can implement online gallery of images required, which may be placed in the site materials. To do this, you need to copy the image files in a separate folder, then specify the detailed path. JP Studio template has a high rate of loading pages. He owns a folding modular design consisting of 37 items and four different styles template.